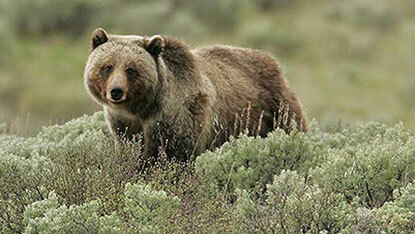 A quick round of the latest news affecting wildlife and nature in North America. I picked up the idea from this site. Scientists In Alaska spot a bar-tailed godwit tagged in Australia near Victoria – more than 8,000 miles away. Pollution is icreasing in US beaches according to this article. King salmon runs in Alaska have been closed this year as fewer fish have returned from the ocean. The decline could be down to changes in river conditions, ocean currents or the predator-prey balance. More bobcats sighted in Seattle area First it was bears, now it’s bobcats that seem to be popping up in Western Washington urban areas. Sea Otter Population Rebounds in US Northwest The population began to recover in 1969, with a couple dozen survivors from a reintroduction effort. Today, there are well over 1,000 sea otters in the Pacific waters off Oregon, Washington and British Columbia. 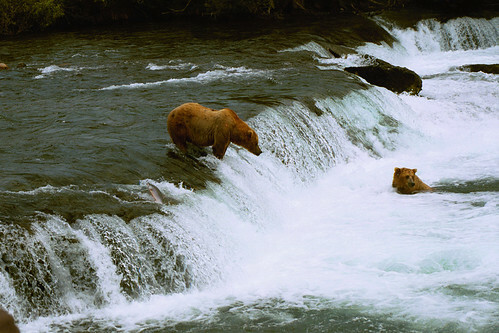 Every year millions of salmon arrive from the Bering Sea into the lakes and streams of Katmai National Park. These fish provide a food source for the world’s largest population of brown bears.This is a great place for observing one of the world’s great wildlife spectacles. Brooks Falls is only a short walk from Katmailand’s Brooks Lodge. As many as fifty bears can be watched fishing along the short stretch of Brooks River during the peak of the salmon season. Note Driving to Brooks Lodge is not possible as there are no roads and the lodge is only accessible by air only.